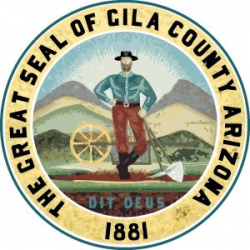 PURPOSE OF THE JOB The purpose of this position is to ensure the safety of Gila County citizens by enforcement of state and local laws and ordinances in an impartial and professional manner. This position enforces state and local laws and ordinances via responding to calls for service, investigations, and patrol. This position does not supervise other employees. Regularly assigns work to other employees. • Patrols assigned areas, looking for illegal, hazardous and suspicious activities and persons; provides back-up assistance, scene security and protection for regional emergency services personnel. • Responds to emergency and non-emergency calls for service; investigates criminal and civil complaints and incidents; interrogates and communicates with victims, witnesses and suspects in cases; secures and documents crime scene and property; identifies and collects evidence. • Performs search and surveillance duties as required; performs follow-up investigations as assigned. • May perform special assignment in areas of expertise, including school resource program, lake patrol, K-9, civil process, or special skills training; may be assigned to special enforcement, intervention and investigative teams, or to specific enforcement region. • Updates and maintains a variety of files, records, event logs, charts and other documents; maintains appropriate records and prepares reports as required and maintains patrol vehicles and equipment in clean and effective operating order. Provides project research on community services projects. Responds to public inquiries, explains County procedures, negotiates or persuades. This position creates or edits emails and reports. Two (2) year's experience or equivalent combination of education, training and experience. AZ Police Officer's Standards and Training Certification, AZ State Police Officer's Certification. Must pass semi-annual firearms course with assigned duty firearms, must maintain certification in CPR and other duty specific equipment and weapons. Knowledge and familiarity with Sheriff's Office policies and procedures; current law enforcement techniques and procedures, including case laws governing arrest, probable cause, and search and seizure; criminal and traffic codes; County, State and Federal laws, regulations and ordinances; rules of evidence; criminal justice and court systems, procedures and protocols in the State of Arizona; investigative and interrogative procedures, and protocols for observation and memorization of critical details; use-of-force rules; hazardous chemicals and materials, first aid and CPR; special regional law enforcement zones; geography, roads, and landmarks of Gila County. Active Listening, analytical thinking, critical thinking, creative writing, communicating diplomatically, negotiating, and problem solving. Additionally, skills in interpreting laws and regulations, making decisions, maintaining composure, and working effectively under stressful conditions and emergency situations; interacting with people of different social, economic, and ethnic backgrounds; communicating with violators, recognizing suspicious behavior patterns, mediating difficult situations, and using effective arrest & control techniques; operating motor vehicles and special equipment during emergency, high risk situations; preparing clear, comprehensive, and accurate reports; effectively communicating in written and verbal forms. Fully and quickly comprehend spoken words, read and write minimum high school level, solve problems sensibly and swiftly, memorize and recall, multi-task. Ability to safely operate and maintain a variety of firearms, impact weapons, and chemical agents; collect data, analyze information, and make logical conclusions based on facts; secure crime scenes, and recognize evidence and causes of crime, death and accidents; operate a personal computer and specialized software applications. • Regularly lifts work related materials that are under 25 lbs., and up to 75 lbs. Rarely lifts more than 75 lbs. Work is performed in internal and external environments with exposure to inclement weather, and varying temperatures. Incumbents in this position are subject to physical danger such as dangerous vehicles, gun shots, and physical attacks; may be exposed to hazardous chemicals, drugs, infectious and communicable diseases; mechanical hazards, chemical hazards, electrical hazards, bloodborne pathogens, communicable diseases, fire hazards, explosives, respiratory hazards, extreme temperature, noise and vibration, wetness and humidity; subject to extended periods of intense concentration in review of crime scenes, investigations and preparing law enforcement reports. Occasionally, incumbents in this position may become exposed to verbal abuse by customers, patients, or citizens either in-person or through telephone. May be required to work during weekdays, weekends, holidays and on any assigned shift. Incumbents in this position are required to constantly follow written safety procedures and manuals relevant to the division or department. May be required to wear or use safety equipment or tools at all times while on duty and required to utilize compliance devices. Occasionally incumbents in this position are required to wear hearing protection, eye protection devices, and hard hats. Potential errors can result in property damage, individual injury or loss of life. Incumbents in this position must have an unrestricted Arizona driver's license upon appointment, must be a US citizen and must be at least 21 years of age. Prior to employment, incumbents must successfully complete a background check as well as medical, polygraph, psychological, written and oral examinations prior to being appointed. Must pass Certification requirements by the Arizona Peace Officer Standards and Training (POST) Commission; may be required to obtain additional specific skills training and technical certifications. NOTE: If applicant fails polygraph or psychological test, they are not eligible to re-test.